The answer is, faith is like a flame that requires constant fuel. 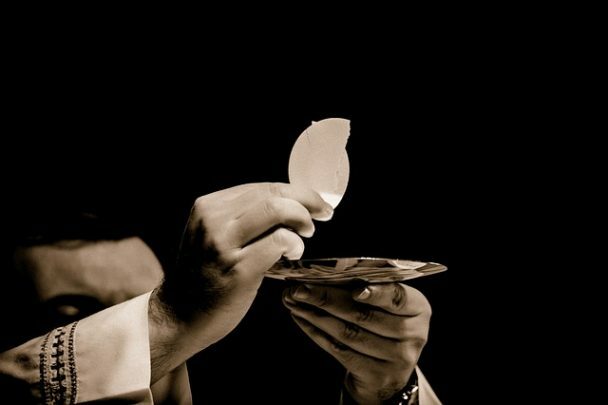 The fuel of our faith is the Body of Christ found only in the Eucharist. “The bread that I will give for the life of the world is my flesh.” When a flame runs out of fuel, it sizzles out. We come to Church to be fed (fueled) by the Word of God and the Body of Christ. We therefore need to approach the Eucharist with great reverence. The Eucharist is Jesus Himself, He who gave Himself up to death for us. When we approach Church, and especially the Eucharist, without reflecting on what we are doing, are we any better than the Jews of today’s Gospel who scorned Jesus? Jesus faced ridicule, hatred and abandonment for speaking the Truth. Let us keep in mind as we receive Communion that without faith we can neither be united to Christ nor can we recognize Him in the Eucharist. Next time you are asked why you bother to come to Church, tell them you go to receive fuel for the journey ahead and invite them to learn more about the living bread come down from Heaven.